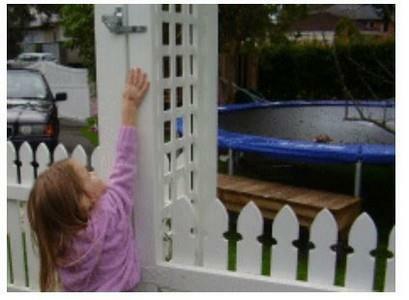 Build a gate for your fence or build a garden gate with free gate plans. 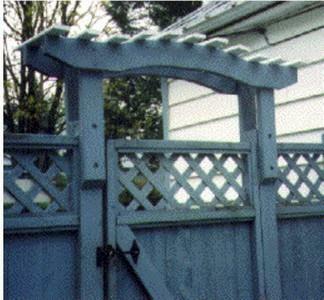 Build your own trellis top gate to match your trellis top fence using these detailed plans and instructions. It's sturdy, long lasting and looks beautiful. This project is to make a standard (36 in.) high picket gate a little bit harder for small kids to open and let themselves (as well as their dogs) into any area they may not be allowed into unsupervised. 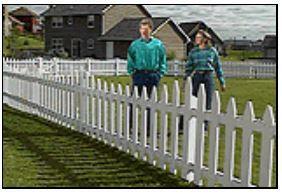 A side gate or garden gate is usually placed to protect certain areas and/or to keep kids or pets in and intruders out. 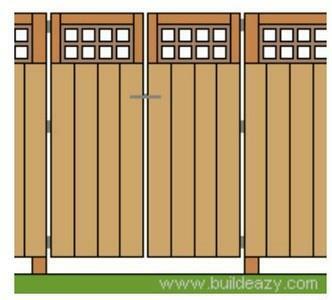 Use these detailed plans and instructions to make a pair of lumber driveway gates. 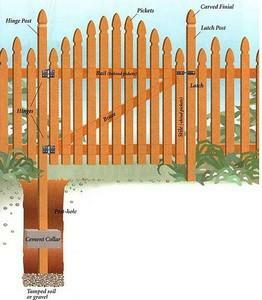 How-to steps on planning, designing and building a fence or gate. 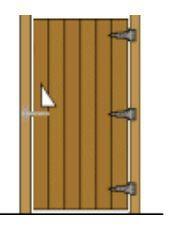 As the seasons change wood tends to swell but this gate topper will prevent that as well as adding a nice touch to the entrance. 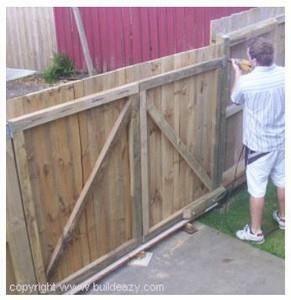 It's a simple enough task to build and fit a standard type garden gate as long as the posts are parallel and the ground is level and even, but what if this is not the case? Well, there are a few ways to counter this problem using these plans. 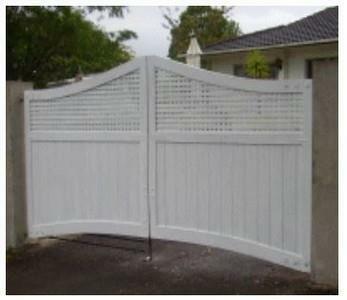 Take your time to build this handsome gate as it speaks well of your skill.